Hi folks! 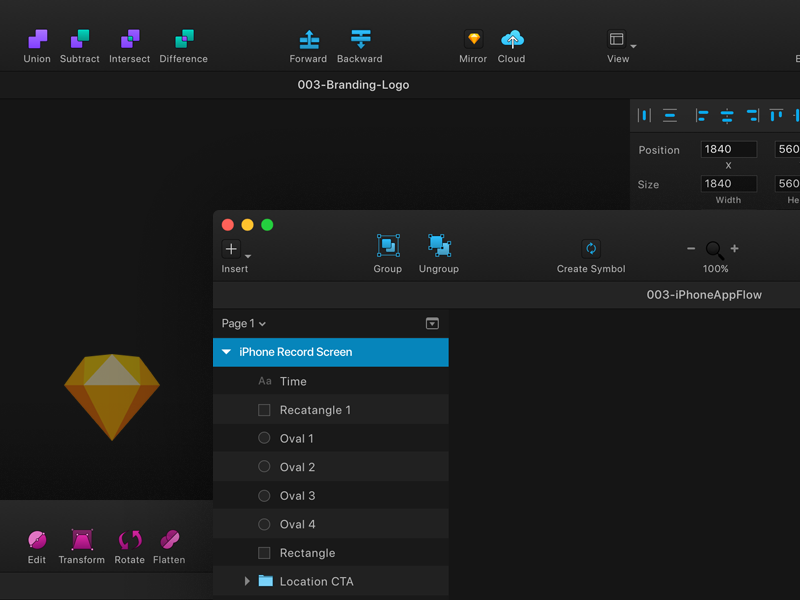 @[21991:Kimball Frank Wirig] and I are creating a dark theme plugin for Sketch. We put a lot of heart and soul into this and think it came out pretty nice! We are deep in the code now and this will be available for you Sketch fans VERY SOON. A light version (more light than the default skin) will be available as well. Side note: The interface being used as a demo in this, is the recording interface from @[1551933:Strava Design] … which happens to be my favorite app in the world! !